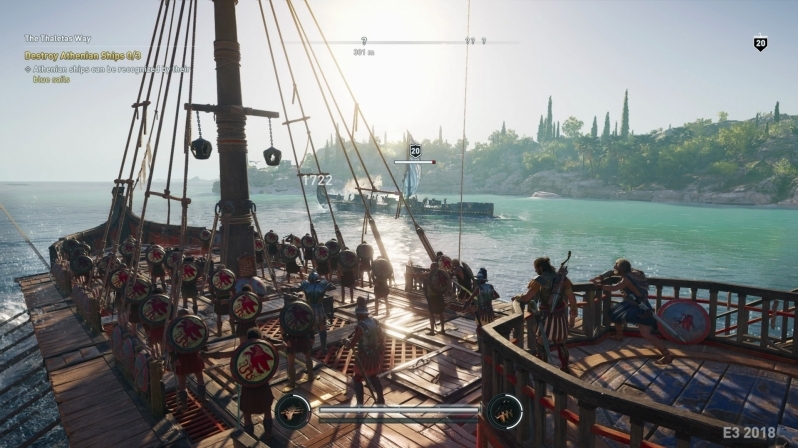 Read more about look at Assassin's Creed Odyssey's leaked screenshots. So, are we back to an Assassin's Creed game every year or is this slated for next year? When did Origins come out? I can't keep up any more, honestly. We will need to wait for Ubisoft to announce a release date. Hopefully yearly. Remember, they started development 1 year after the origins team so there's no problem. And those who want it every two years can always wait buying for a year after release. I don't see any problem with a yearly release. Having said all that, they may release it next year but I doubt it. I'm more 'worried' what the hell this game has to do with ac, seeing as it's hundreds of years before origins which featured the origins. I do like seeing it's almost a full RPG now as I suspected. The proto-Templar Order already existed in Origins, so perhaps this one will be about the origins of that Order? Anyways, it's better to have a game set in that time period in ancient Greece than 100 years after Origins. Ancient Greece during the Peloponnesian War was effin' lit. It's the Classical period. I always wanted an open world game in that setting. Also, these probably didn't leak. I bet that Ubisoft deliberately released them to see the reactions on gaming boards. That way they'll know what to say during the presentation to hype people. At least it's what I would do. And if I can think of that, so can Ubisoft. "We are not going to earn a lot of money from it. It is a lot more a marketing thing, it is also good for the image of the brand. Although we will make some money, it is not the purpose of this movie. The purpose is to bring Assassin's Creed to more people. We have our core fans, but what we would like is to put this franchise in front of a lot more people who, maybe, will then pick up future Assassin's Creed games." I find that a little... seedy and disingenuous. Obviously they admitted to it, which might be considered a respectable move, and they have every right to do whatever they want with their money, but they essentially admitted they didn't care about the artistic aspect or the quality of the film; just that it attracts people to the video game series where they can earn the most amount of money. Essentially they took one thing I care about immensely—film—and used it indifferently to publicise and market another thing I care about immensely—video games. They mired one art form to market another, which defeats the purpose of creating art in the first place. There's no artistic integrity at all. Do I want to play a game that cares so little about itself? And eh, the origins of origins? possibly though! Not happy with all this boating though, it's what disliked completely in black flag. If I want boating I'll buy sea of thieves.